Today in news that just might bring up all sorts of irritating memories for people named Sam—cough—Variety is reporting that Ellen DeGeneres and Netflix are teaming up to develop an adaptation of Dr. Seuss’ Green Eggs And Ham. Oh, and by “adaptation” we don’t mean a Grinch-style live-action movie, we mean a 13-episode animated series…about Green Eggs And Ham. 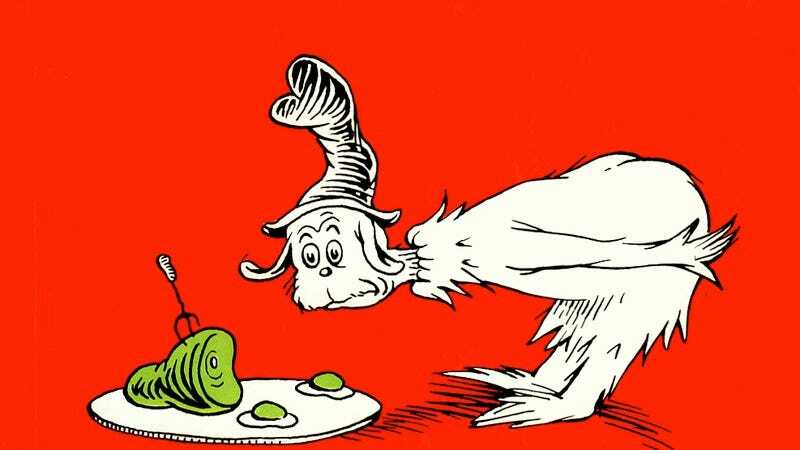 For those who are unfamiliar with the book, this is the entire story: A character named Sam-I-Am suggests that an unnamed sourpuss eats some green eggs and ham. The sourpuss says no, he does not like green eggs and ham, he does not like them, Sam-I-Am. It doesn’t dissuade Sam-I-Am from asking again, though, which he does over and over again until the sourpuss relents and eats the green eggs and ham. Then there’s a twist: He really does like green eggs and ham, he was just being a jerk. Ellen and Netflix are going to get 13 episodes out of that. We’re not knocking Green Eggs And Ham, of course. It’s a fantastic book, and Seuss was able to write it with only 50 different words, which is a fun fact that you can share at your next hipster dinner party. All we’re saying is that it’s not exactly Game Of Thrones. In order to pad out the book’s plot, Variety says the show will “[continue] the adventures of some of its characters,” but that still doesn’t mean a whole lot. Green Eggs And Ham has about five characters, and that’s if you count the fox, goat, and mouse that Sam-I-Am and the other guy run into.